Life in the Mills family is never easy. 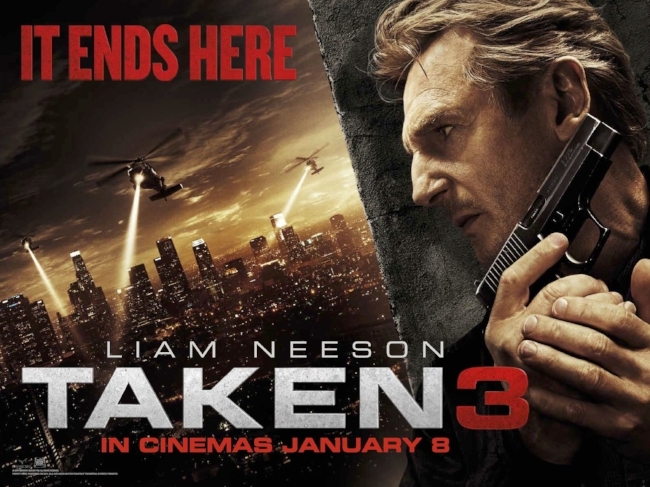 After surviving two previous kidnappings, Brian (Liam Neeson) now finds that his ex-wife Lenore (Famke Janssen) has been brutally murdered. Framed for the crime, goes on the run from the Police, in an attempt to discover the true perpetrator and clear his name. Is Lenore's current partner, Stuart St. John (Dougray Scott) involved in some way? Can Brian protect his pregnant daughter Kim (Maggie Grace)? Has he ever stopped to consider why so many bad things happen to him? Why wasn’t this movie set in Europe like the others? What happens to the huge cuddly Panda seen at the start of the movie? Who in the name of all that is holy edited this movie?